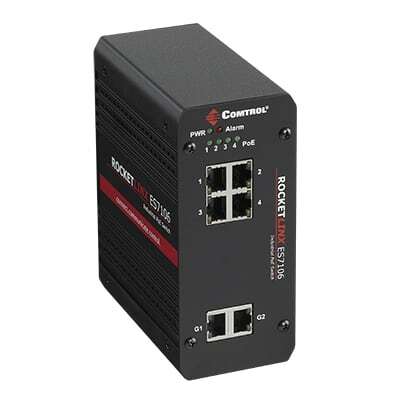 Unmanaged Power over Ethernet Industrial switch with voltage boost, four IEEE 802.3af PoE ports and two Gigabit ports. 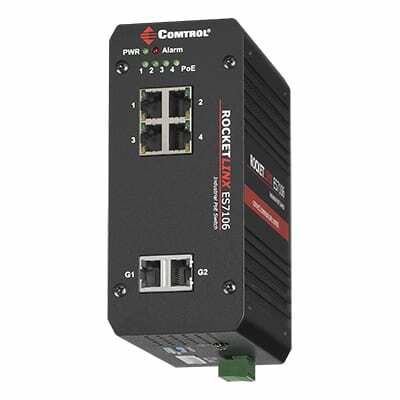 The RocketLinx ES7106-VB is equipped with four 10/100BASE-TX PoE injector ports, with each port delivering power up to 15.4W, and two 10/100/1000BASE-TX (Gigabit) Ethernet uplink ports for transferring data to the network. The ES7106-VB supports QoS, which ensures high quality video traffic transmission by adjusting the data transfer priority. 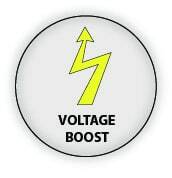 The ES7106-VB features convenient wiring with a standard 4-pin industrial terminal block for power input and a fault relay alarm contact output. 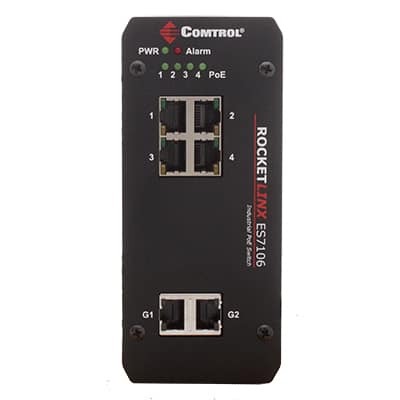 Additionally, each Ethernet port has a Port Link Alarm, which can be configured to automatically trigger on connection issues, warning administrators of abnormal operating conditions and ensuring quick resolution to network issues. RocketLinx® ES7106-VB Quick Install Guide Quick guide to installation and configuration information.